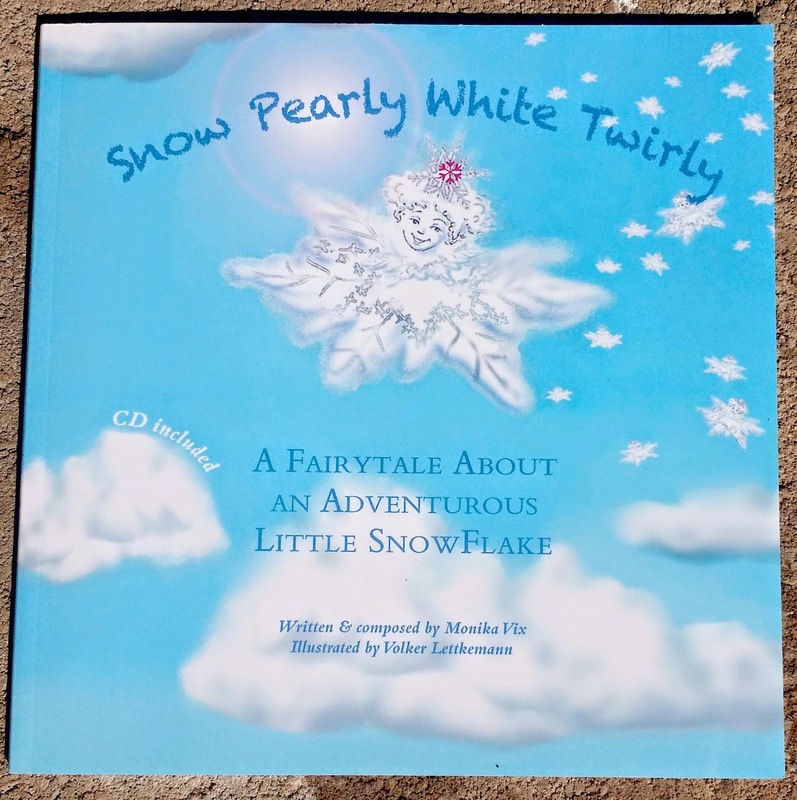 I was given the opportunity to review the wonderful children's book, "Snow Pearly White Twirly" by Monika Vix and illustrated by Volker Lettkemann. This book also included a fun Music CD with sing-a-long songs. Monika Vix has taught music to children of all ages. She's founded her own music school, Ton & Klang, and has found inspiration to compose and write children's music, short stories, and fairytales. Volker Lettkemann is an illustrator with a skilled background. From a caricature artist to game graphic designer, he prefers the fun side of art to the rigid side. To read more about the story and what I thought, please continue reading. In this story, a traditional German winter song, Snow Pearly White Twirly, is a snowflake who dreams of life on Earth not in the clouds. She jumps off her cloud castle and meets some interesting characters, even Santa. As she travels around the Earth, she learns the cycle of water. When she's thrown into an ocean she transforms into a droplet of water. Traveling with her new fish friend, she also realizes how much she wants her family back. 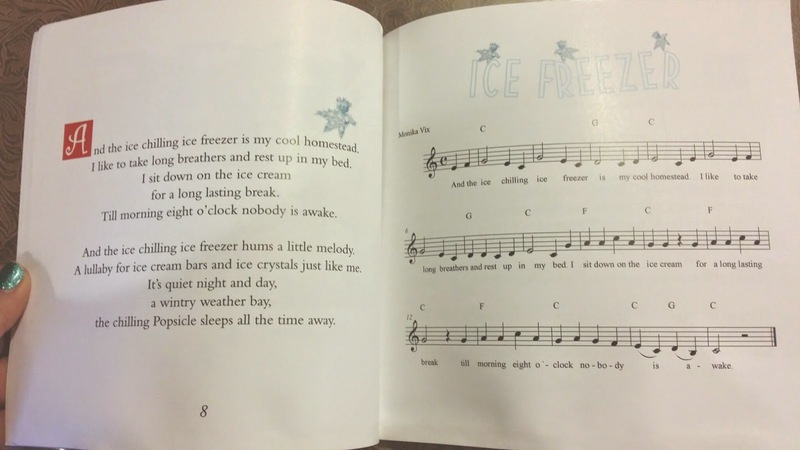 On several pages, there are sing-a-longs, with sheet music, to bring your child's imagination to life. This book also includes a music CD with even more singalong fun. At the end of the book the author invites your child to go back through and color all the white areas. 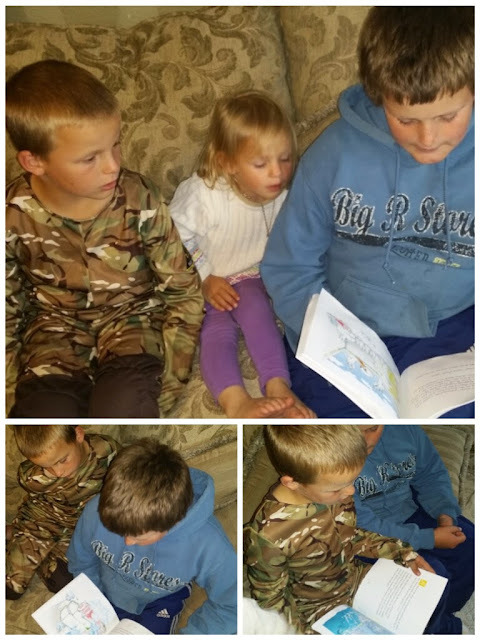 My 10 and 7 year old enjoyed reading this book. 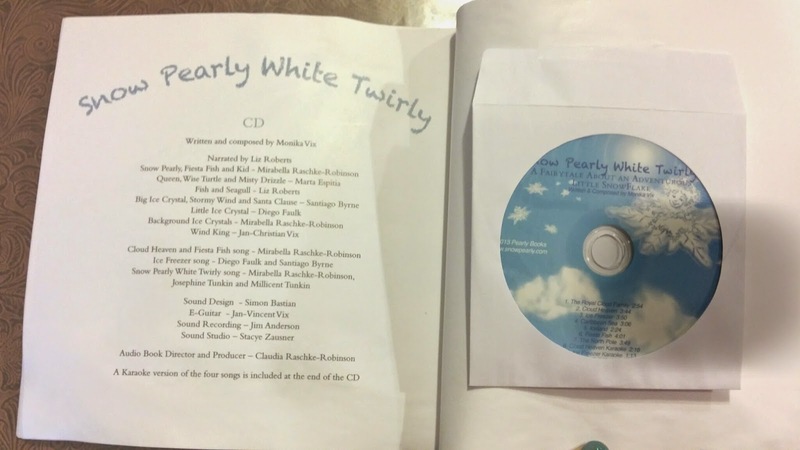 We've listened to the music CD several time's since receiving the book to review. I loved that the book has an educational point to it, with showing the cycle of a snowflake. I would definitely recommend this book as a Christmas present.